It is a crossing between an autoflowering strain with the genetics of Super Silver Haze and a Cheese, the famous Skunk phenotype that has been selected and grown for years in the United Kingdom. 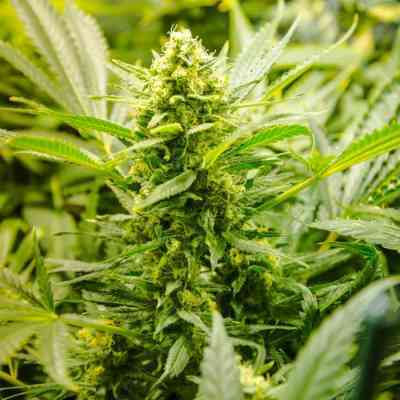 This plant’s high yield and strong effect are sure to come as a surprise. Once it has germinated, its growth phase lasts around 30 days. From there on, it will begin flowering, a stage which extends over 45 days, to be harvested between 70 and 75 days after having been planted. In outdoor crops, with enough light and proper care, it can reach heights of up to 1.80 metres and produce up to 250 grams of dry buds, unachievable feats for other autoflowering strains. In indoor crops with grow lights, its height will be around 80 cm, and it will yield approximately half a kilogram per square metre. Its flowers have small stigmas and big calyces. 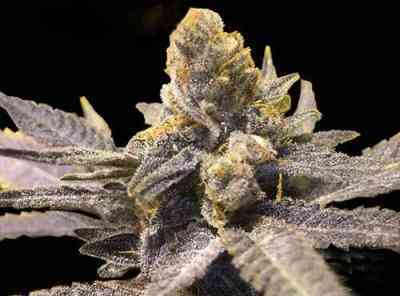 They form heavy buds, covered in abundant resin, with a sweet, penetrating aroma. Its soft, fruity taste carries nuances of forest fruits, fills your mouth and awakens the sense of taste. The effect of consumption is intense, long-lasting, and stimulating but relaxing at the same time.